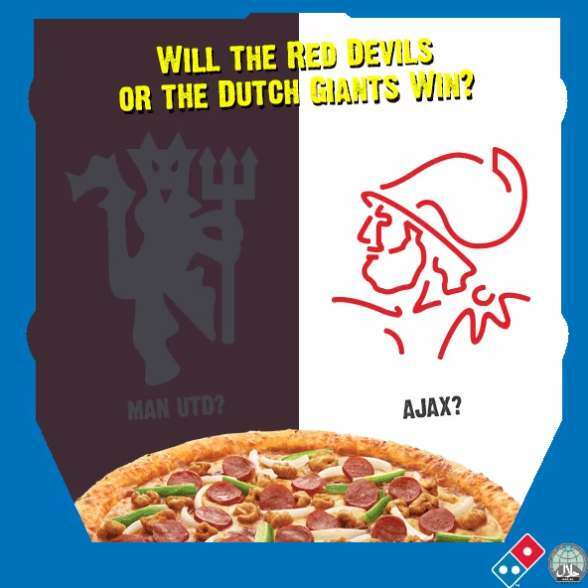 Welcome to the Domino’s Football Treble!!! Three exiting finals and lots of Domino’s Pizzas to be won. Our First Treble is: Tell us who do you think will win the Europa League and what’s the score at Full Time (NOT AFTER EXTRA TIME). 5 lucky fans who guessed the winning team correctly will win a Regular Pizza. 1 lucky fan who guessed the correct score will win a Large Pizza. Contest closes 25 May 2017 at 2:44am (Singapore time). Our Party sets are available for you and your homies to make this an awesome party! Find out more at Domino’s Pizza.